Perhaps the candy corn cookies might have been more appropriate for today, but instead I have this bright orange gnocchi. Halloween dinner, anyone? I’ve had the itch to make homemade gnocchi for a few weeks now and have had a butternut squash sitting on my counter staring at me, just waiting to be roasted, pureed and made into delicious little Italian dumplings. I made these last week to take over to my friend Korina’s house for a girl’s night dinner. The three of us girls sat on Korina’s couch and ate the gnocchi alongside a rich and creamy butternut squash soup that her husband had made. Then we did each other’s hair and tried not to turn orange. I’ll just be upfront and tell you that there’s a ridiculous amount of butter in this recipe. But, did you know that when you brown butter you eliminate all fat and calories? Sooooo this dish is practically fat-free. Okay, I kid. I kid. But it’s worth it to make on a special occasion. Like, tonight. Preheat your oven to 400 degrees. Peel and slice squash and roast on a lined baking sheet for 30-40 minutes until very tender. Remove and let cool. Once cool, puree squash in a blender or food processor then transfer to a large bowl and add flour, egg and salt. Mix until a dough forms then knead on a heavely floured surface until smooth. Brown the butter over medium heat, swirling the pan continuously. Watch out–the butter will brown quickly! 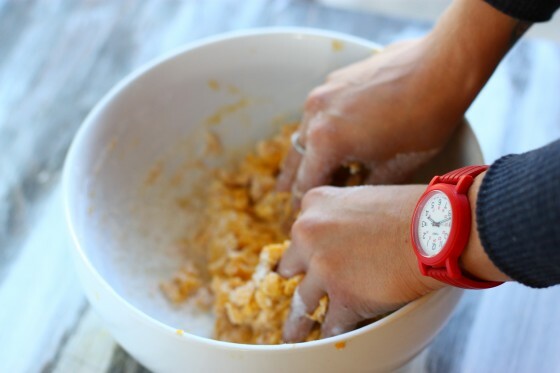 For more of a browned butter tutorial see here (and then make the cookies!). After the butter has browned, remove from the heat and bring a large pot of water with a pinch of salt to a boil. Divide gnocchi dough in half and roll each half into a large, thin rope then cut the rope into small one inch slices. Once the water is boiling, drop the gnocchi in and boil until they float. Then drain the gnocchi, put them back into the pot and pour over the browned butter and a handful of Parmesan cheese. To fry the sage leaves, heat the oil over medium high heat. Once very hot, drop the sage leaves in and fry for about 3-4 minutes until crispy. 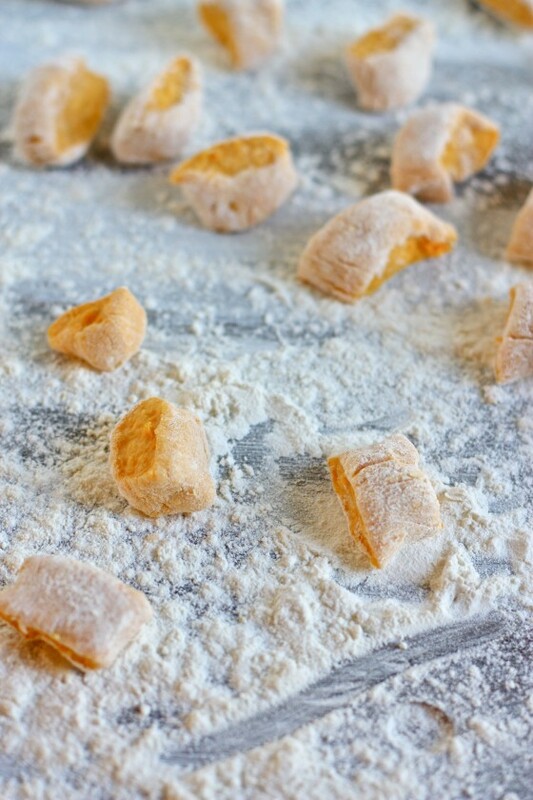 Remove leaves and drain on a paper towel before crumbling into gnocchi. Serve warm with extra Parmesan. These look so good! 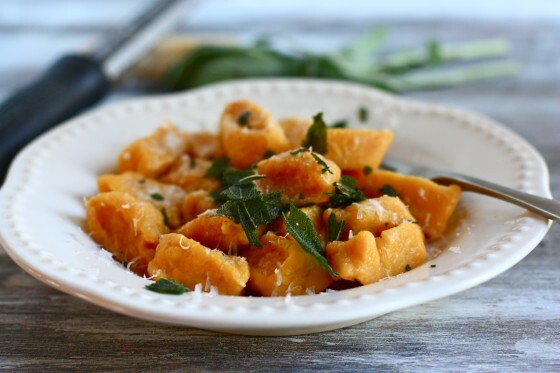 I never thought of using squash in gnocchi, but now that proves it can be done! 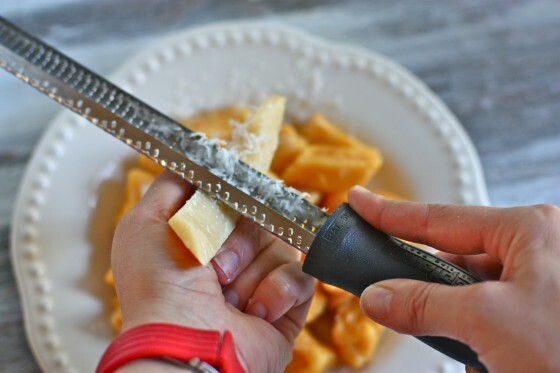 Also, love that side-sweep stroke of the microplane on the very last of your parmesan. Why didn’t I think of that, as I *always* nicked myself doing it the other way. Keen logic may not be my best when I’m multi-tasking in the kitchen. This looks insanely delicious. I recently made ricotta pumpkin ravioli with wonton wrappers and froze them… waiting to find the perfect sauce with which to serve them… I’m thinking browned butter and sage is it! Love these so much! I like gnocchi at the best of times but pair it with brown butter and I’m sold! Sounds fabulous! And that whole turning orange thing… I was already tinted in September! Fried sage in brown butter…ok that sounds incredible right there! Beautiful job on the gnocci, Jenna. I’m intrigued! I’ve never made gnocchi from scratch but have been making a butternut and kale gnocchi from a Food Network magazine recipe which is heavenly. I need to write this recipe on the to-do list! PS I may use that browned butter tip at cardiac rehab today! Ummm yeah…I was totally kidding. But how awesome would that be? YUM! I just heard about the amazingness of fried sage on NPR’s Splendid Table. This recipe sounds incredible. It is nice to have a SAVORY Halloween recipe! I saw the title and thought to myself “what on earth is fried safe? Is this some special culinary ingredient that only Jenna knows about?” lol…it sounds beyond yummy! homemade gnocchi is one of those things that gives me a sense of self…yum! Must. Make. ASAP. How do you think a tiny apartment kitchen will fare for gnocci making? 🙂 This + a glass of hard cider and a handful of M&Ms for dessert = a very, very happy Halloween. That’s a long recipe title! Looks great. I love butternut squash. Very filling though. Homemade gnocchi is something I always want to tackle and feel WAY too intimidated to do so. But for butternut squash gnocchi it might be time to get over my ego and do it. Looks incredible. You are killing me! I had this once, at a restaurant 3 years ago, and it has haunted me ever since. mmm….classic comfort food at it’s best! Uh, wow. This looks out-of-this-world fabulous. This is the kind of thing I would want to order at a fancy restaurant. Culinary bliss. Squash gnocchi!? I love the idea. I cannot wait to try this. Haha…I love your butter theory…even if it is just in jest! One can pretend right?! 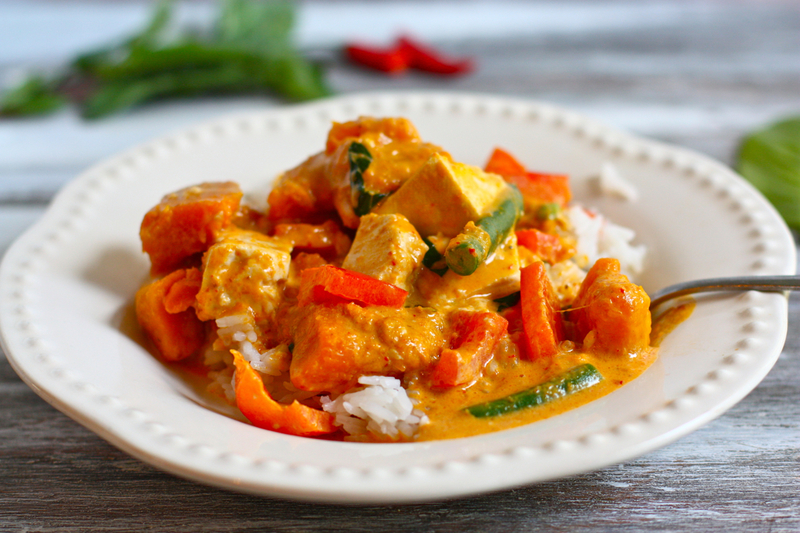 Plus, I love butternut squash so this is totally worth it! definitely worth every calorie in every drop of butter. this looks DELICIOUS! Yess! Gnocchi is my all time favorite dish, but I’ve never attempted to make it. Thanks, Jenna! Not gonna lie, for at least 5 seconds I looked at the title trying to think what “safe” was before realizing it was a typo. hehe Sage + gnocchi is such a delicious combination. Butter helps. always. Yep, that’s what I get for working really late last night while being completely sidetracked by building a family tree on ancestry.com. Wow does that ever look good. And fantastic idea to make the gnocchi out of the sqaush! This is exactly like something I am planning on making this weekend! Except I am lazy and bought pumpkin ravioli, lol. Great recipe!! I swear, I can almost smell the sage from here. What a great, fall dish! Um, let me think about this….OMGYES. Oh man. What a girls night! I love hands on food time with friends. And making gnocchi! I’ve tried 4 times now and though they’ve gotten better, they still aren’t that great. Might not happen tonight but I’ll definitely be making this sometime this week! Oh, yum. Looks like a perfect Halloween/Fall/Thankgiving/cold weather dinner. Total comfort food! Yum. I could eat this every day. I made something very similar to this last week- and it was great! I didn’t fry the sage though- which I should have. Fried sage tastes amazing! Looks delicious. I have to admit to eating a lot of candy corn though the past few days! oh super yum!! I’m loving the colors in this dish. I love making gnocchi from other items than potatoes! 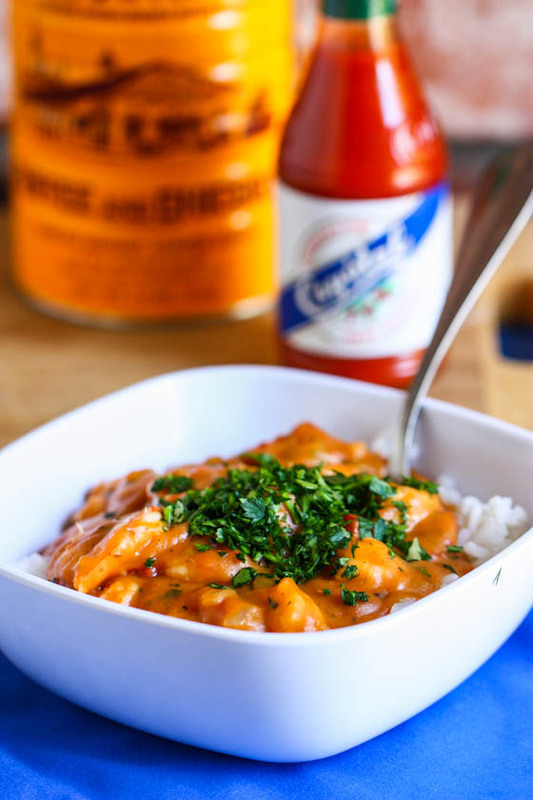 I remember Bon Appetit featuring this recipe – it’s such a keeper, I made it immediately! ummm, Yes Please, yes please now! Just a tip, if you roll gnocchi using a gnocchi roller (who has that, though?) or a fork + finger, they’ll be much lighter and fluffier. If you don’t, they tend to be, well, mini bricks. I’ve made sweet potato gnocchi with a similar sauce and it was really lovely, so I’m sure the flavor on these is great. I made a similar recipe last week but with pumpkin, and called them dumplings. Now that I see this thought, had I made them smaller they would have been like gnocchi! I love this combination of flavors, sage goes so well in autumny meals! This sounds yummy, particularly bc of the addition of the squash.. Other gnocchi always feels a little too heavy to me! I have tried potato gnocchi, ricotta gnocchi and now I have a new one to try. 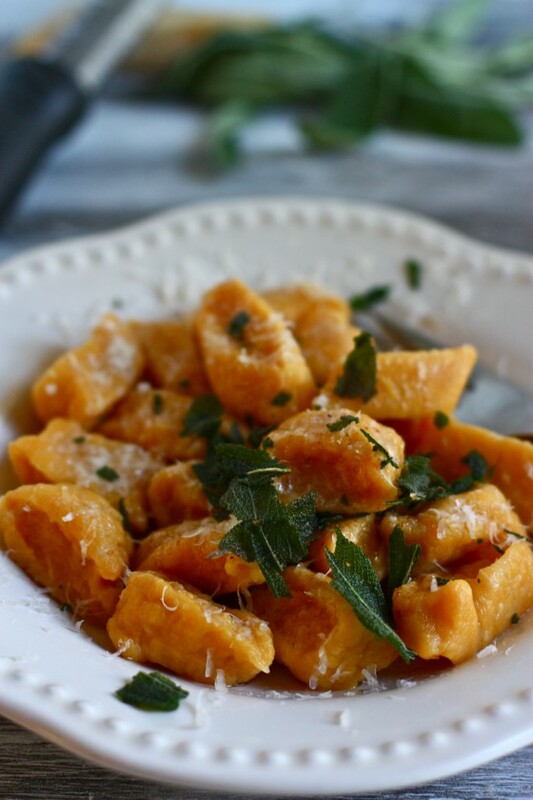 I bet sweet potato gnocchi would also be AMAZING!!! 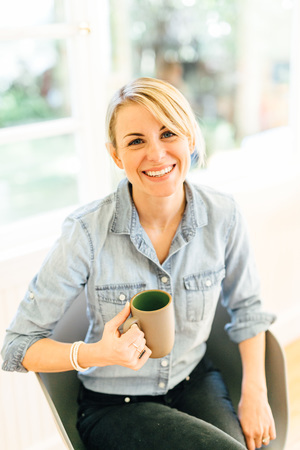 Been reading your blog for while, love your style! I have never tried to make homemade gnocchi but want to! This is great inspiration! this looks amazing! i LOVE gnocchi. Having just made your two-sticks-of-butter-per-batch candy corn cookies yesterday I’m going to have to say that this recipe, with a measly 1/2 stick of butter, certianly can’t be a “ridiculous amount”. (Though, when it comes down to it, how can you really ever have too much butter?) These gnochis pale in comparison to those mini corns, which makes them downright healthy, right? Drool drool droooool. This butter is more than worth it. Anything with brown butter is amazing! Oh, these sound great! I am unfortunately fresh out of squash at the moment…though I do have quite a few sweet potatoes that need to be eaten. About how many cups of squash do you think you used? Probably about two—you could try it with canned squash! Just use one can and add more flour if necessary. uuuuugh one of my favourite meals ever (for a special treat, that is). have never made the gnocchi myself though, should definitely get over it and just doooo it! I made these today and they were delicious. Thanks for the recipe! Made these for dinner tonight with my kids who are 4 and 6 1/2. They didn’t like the sage so I left it out of theirs, but otherwise we all loved it. Very filling though. I think these would also be great with pesto and parmesan as well. 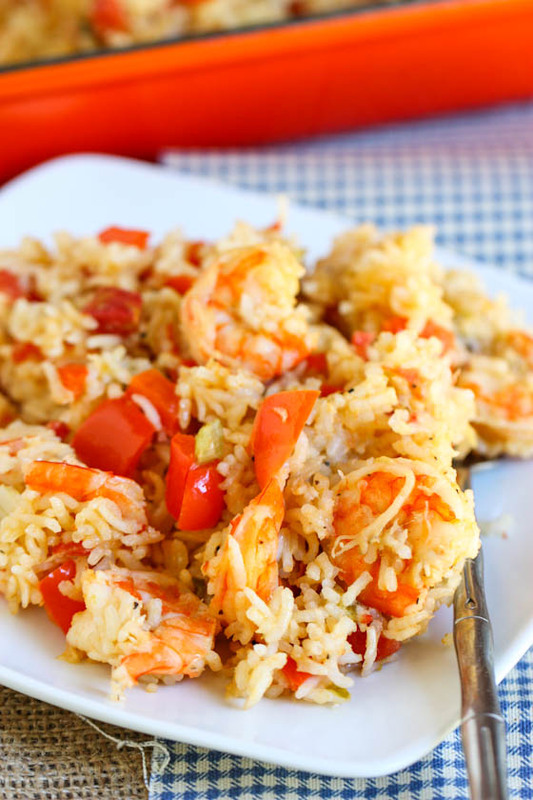 Made these for dinner last night and they were delicious! I think I’ll use a drizzle of olive oil next time instead of the browned butter, but that’s just my love of olive oil. Yum, thanks Jenna! Is anyone else slightly disturbed by the fact that Jenna pretty much lifted this recipe straight from Wolfgang Puck? At least be honest about where you get your “inspiration” from, girl. Actually, I didn’t. I think the addition of browned butter and fried sage is pretty much a universal dish that I’ve seen on restaurant menus dozens of times. If I ever use a recipe to get “inspiration”, I always note that under the recipe title. LOVE pumpkin ravioli with sage and browned butter, but THIS sounds SO good. Must make it this fall. I think that the hubs and kiddos will love it! Thanks for sharing! For some reason I have now added three cups of flour to this recipe and it still won’t come together. Now I have a bunch of orange mush on my cutting board and an entire butternut squash wasted. I won’t be trying this again. I made this tonight and it was disappointing – it looked so good! I added ground white pepper, oregano, and nutmeg (could have added more) because without seasonig it sounded bland. I also had the same problem as Linda, and when I made the gnocchi it just tasted like dense dough with no flavor. I may have kneaded it when I should have just rolled it in flour and cut it (it definitely wasn’t as orange as the picture). How would you make this soft & fluffy like gnocchi I’ve had at restaurants? The browned butter and sage tasted delicious but I won’t be making this again. I had the same problem as Linda and Holli. With the correct size butternut squash and the flour called for in the recipe, my dough was wet and sticky. I kept adding more flour to the point that the gnocchi turned into dough’y bricks. I’d like to make this recipe again. Should I just expect to work with super sticky butternut squash dough? Made this tonight except I made half. Really nice! I didn’t have fresh sage so I used dried, also after I drained the gnocchi I lightly pan fried it to add texture (and keep it warm since it was boiling in batches). First time making gnocchi and it was relatively simple! 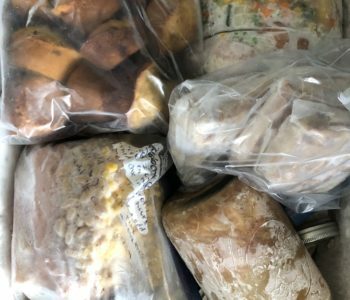 Broke it up over two days, keeping the dough in the fridge overnight and rolling it out the next day. I really enjoyed this recipe. I love how it doesn’t have too many ingredients. My boyfriend commented that it looked restaurant worthy (his first time making gnocchi too 🙂 Thanks for the share! How many cups of butternut squash should you add to make the dough?